After the FutureGen Alliance announces the future home of a mostly publicly financed $1.5 billion low-emission coal-fired power plant, the U.S. energy agency reminds the alliance that it has the final say. Industry insiders gave mixed reviews on Dec. 18 after a coal and utility industry group charged with building a $1.5 billion so-called "clean-coal" plant selected Mattoon, Ill. as the plant's location. But within hours, the FutureGen Alliance found itself in silence as the U.S. Department of Energy, which had been expected to cover 74 percent of the plant's cost using taxpayer money, told the group it had got ahead of itself. The federal agency said there are major issues that still need to be addressed, not least of all a projected major cost overrun. Although the alliance puts the price tag at $1.5 billion, some industry watchers have put the gross estimated cost at $1.8 billion, saying that the alliance's figure deducts $300 million in estimated revenue from electricity. But either figure is significantly higher than the earlier government estimates of $950 million. In a press statement, James Slutz, an acting principal deputy assistant secretary for the DOE, said the FutureGen project requires "restructuring" to stop costs from escalating further. He also said his agency hasn't given the official green light required for the final site selection and that it will provide further details on the FutureGen structure next month. According to a letter dated Dec. 11 that Greentech Media obtained, Slutz warned Alliance CEO Michael Mudd to hold off on announcing the site location until it was official. Alliance officials could not be reached for comment. 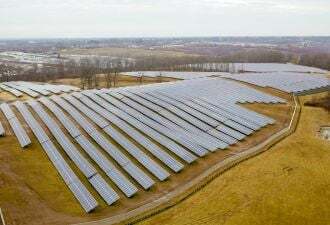 But the governor of Illinois, who stands to gain 1,300 construction jobs and 150 permanent jobs from the project, has made his disappointment public. Gov. Rod Blagojevich last week sent a letter to the DOE, voicing concerns about potential delays and urging the agency to follow through. "I am concerned that any delays will only drive up costs," he said, adding that such slowdowns can increase costs by $10 million per month. Blagojevich also asked for a meeting with the agency's secretary, Samuel Bodman, to discuss how to move forward on the plant, which the alliance last week expected to be up and running by 2012. The FutureGen project is aimed at testing a swath of technology for turning cheap and abundant -- but heavily polluting -- coal into "near-zero-emission" energy. Advocates have called the project a key step to reducing greenhouse-gas emissions from coal, while others have called it a waste of money.